Well, I told you I was ready to do some fall crafting, and I did just that. 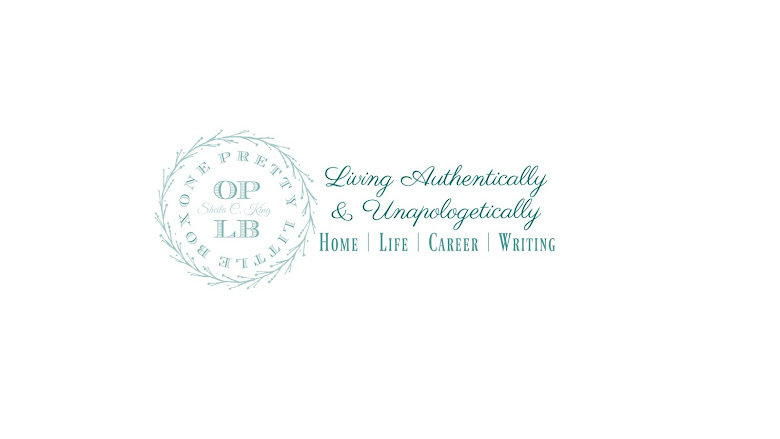 Not only did I switch up the look here on the blog, I have also made a new pretty to hang on the wall! Would you like to see? You would?! Well, okay, let's take a peek! Using a Maple leaf pattern I found online I copied it, then cut them out of some heavy cardboard (aka an old Stove Top box). Then I grabbed some scrapbooking paint and paintd away. Then I let them dry overnight. In the mean time I cut out some circles out of cardstock, then proceeded to cover them with some pretty patterned paper. 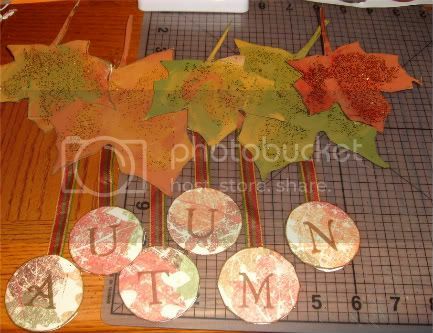 Add in some stamping, some glitter, lots of glue, and some pretty ribbon in lovely fall colors, a wee bit of free time ( and with a house full of sickies that is all we have) and TADA! I am pretty impressed and LOVE it! I can't wait for the little clippie in the back to dry so that I can actually hang it to see it up on the wall!! I can't wait to share more with you! I am home again tomorrow with yet one more kiddo that is ill. It has offiicially hit us all except Dad. :) Glad it didnt' take weeks to go through the house! THAT would have been miserable! So, now with Labor Day out of the way, are you ready for Autumn/fall? Do you do anything special? I would LOVE to hear your autumn traditions! So Cute and creative Sheila! You are so creative!! I love it!! Awesome start on the challenge! Team Dasher Rocks!!! your decorations that you made look great. I wish I was creative like that, I think that gene skipped me. Both my mom and grandmother are very creative. Great job this week. I hope everybody is feeling better soon. Love, Love, LOVE your craft! I haven't scrapped forever, and I'm ready to get back to it now that Fall is approaching, along with the cooler weather!